Michael Vick's one-sided indictment is insufficient to sack or suspend him | Jon Katz, P.C. Football is a violent sport. So are boxing, hockey, and lacrosse, which is one of my favorites to play and watch. Dogfighting is a violent and reprehensible sport. Perhaps a part of me should welcome all the brouhaha over Michael Vick’s indictment over alleged dogfighting and brutal dog executions, in that maybe it will make people recognize that not only Michael Vick’s alleged crimes are brutal, but that our society is overdrenched in brutality, from police brutality to child abuse to rampant physical assault to slaughterhouses, and the list goes on. However, I do not welcome the rush to judgment against Michael Vick that leads the People for the Ethical Treatment of Animals and numerous others to call for Mr. Vick’s suspension while he remains presumed innocent unless and until proven guilty beyond a reasonable doubt by a unanimous jury. Mr. Vick’s federal indictment was filed on July 17, 2007, and alleges violations of laws against animal fighting and animal cruelty. As mandated by the Fifth Amendment of the United States Constitution, Mr. Vick’s federal prosecution in the Richmond federal trial court is proceeding on an indictment returned by a grand jury. 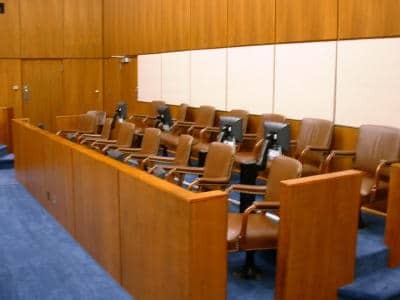 However, the federal courts have done little to prevent grand jury indictments from being little more than sham rubber stamps of indictments typed by prosecutors who present witnesses and evidence to grand jurors in secret proceedings without the presence of any judge nor the presence of any lawyers other than prosecutors. Armed with such Star Chamber indictments, federal prosecutors repeatedly parade before reporters at government-organized news conferences (often complete with photo opportunities of law enforcement employees and numerous prosecutors), with the prosecutors and reporters rarely informing the public that such indictments are shams that are worth little more than toilet paper (and at least toilet paper sometimes is squeezably soft). These are your very highly tax-paid federal prosecutors at work, as part of a government that is supposed to be run by the governed, when too often the reverse is happening. Kudos to ESPN.com’s Mike Sando for taking on this sham federal grand jury system by the jugular, by his telling sports fans and the rest of the public not to rush to judgment, in his July 20 opinion piece. Thanks, also, to Sports Law Blog for drawing attention to Mr. Sando’s viewpoint. Although I agree with many of the animal rights views of the People for the Ethical Treatment of Animals — and previously successfully defended its activists’ First Amendment right to protest the circus in Baltimore — an ongoing wedge between me and plenty of others in the animal rights movement continues with the efforts of many in the movement to criminalize more animal cruelty offenses and to enforce those laws more strongly, when I repeatedly have cried out against over-criminalization when we have such an unjust criminal justice system and when civil non-criminal remedies remain as an alternative. In Mr. Vick’s instance, PETA urges people to insist on Mr. Vick’s suspension, saying “tell the NFL that someone who allows this kind of neglect and abuse to occur doesn’t belong in its organization.” Particularly with the ink having barely dried on the federal prosecutor-penned indictment, the public has insufficient information this early on to know what Mr. Vick did or did not do with dogfighting. The indictment speaks of horrific executions — by hanging, shooting, drowning, and electrocuting — of dogs deemed not up to snuff for prizefighting, as well as other alleged crimes related to dogfighting. However, the indictment tends to lump Mr. Vick in with some or all of his co-defendants, not making sufficiently clear the extent to which Mr. Vick allegedly pulled the trigger for any dog executions or even knew about the executions, versus just lumping him in with his co-defendants on the theory that a person is responsible for the foreseeable actions of co-conspirators. For any reason Michael Vick has indeed committed any of the crimes alleged against him, he still is entitled to all rights guaranteed to criminal defendants, a fair bond, and a spirited defense. That is my watchword; please join me. Jon Katz.